Classical music is beloved by many, and hearing live performance is the ultimate mode for its appreciation. Yet its transient nature makes fleeting the inexplicable means by which music so affects our thoughts, and transforms feelings. 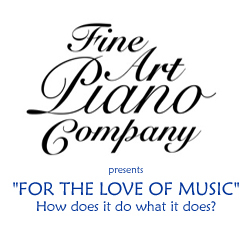 “FOR THE LOVE OF MUSIC” is a series of performance seminars that examines this potency of musical expression. Musicians openly explore their own responses to what is in the compositions. By then allowing ourselves to go back and hear it again, working to more fully realize the composer’s intentions, we explore the means by which music communicates, and what it offers us to experience. In these seminars, a kind of “master-class for listeners,” musicians share their own insights, knowledge and feelings about making music, and play selections of classical works, revealing their discovery of musical ideas, personal and formal. Listeners are encouraged to ask questions and express individual ideas, with the higher goal of grasping the universality of music as well as its intimate nature. 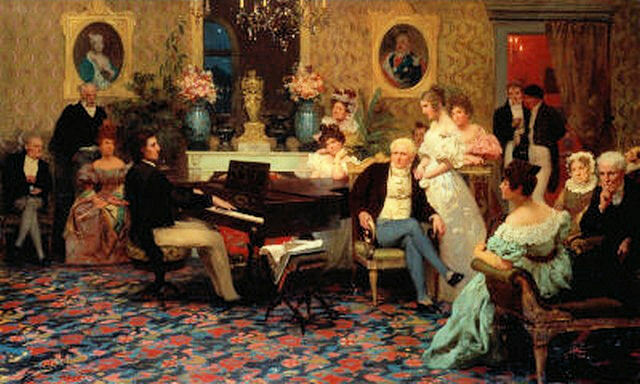 A colorful array of topics and themes based on composers, styles, special works, and music history will form the framework for developing greater understanding of music. Live performance will consistently be an integral part of the seminar experience. The series can be appreciated in whole or in part. Each session provides a window to awareness of the interplay of compositional styles, modalities of expression, and performers’ interpretations, all leading to our love of music. A short refreshment break is provided. A small library of music books is available to peruse before and after the sessions.